A therapist explains how to break up, even when it’s hard to do. They say breaking up is hard to do. In every relationship, there is an expectation of the way things should be and an experience of the way things are. The pain in any relationship is usually represented by the gap between those two things. And sometimes the gap is too big to consider the hope of “making up again.” When that’s the case, it may be time to walk away from the relationship. 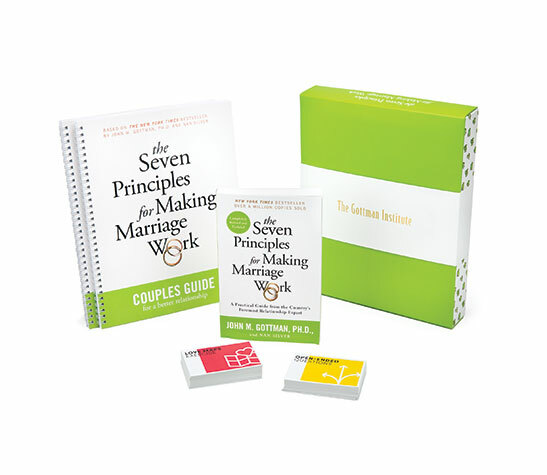 Just like making up, breaking up involves a complicated mix of principles and practices. Personally, I don’t have a ton of experience with the strategies and tactics involved in a break up. I married young and didn’t date much before I met my wife. If I broke up with a girlfriend, I certainly did it badly. If I got dumped, it was probably unceremonial, and I probably deserved it. Beginning with Neil Sedaka, let’s also consider Taylor Swift, Bob Dylan, Marvin Gaye, Ariana Grande, and more to see if the world’s greatest breakup songs can help bring clarity to those of you facing an insurmountable gap between the expectation and experience of your relationship. Maybe they never close their eyes when you kiss their lips. Or there’s no tenderness in their fingertips. Or there’s no welcome look in their eyes when you reach for them. Or they’re starting to criticize little things you do. Criticism, in particular, is a clear sign. It’s one of the Four Horsemen of the Apocalypse according to the Gottman Method. If criticism goes unchecked in a relationship, it can certainly signal the end. Other signs include a consistent inability to repair during conflict, patterns of self-preservation at the expense of the relationship, and a tendency toward more negative than positive thinking about your partner and the relationship overall. It’s okay to be glad it’s over. Particularly when you’re not dealing with a marriage contract, children, or shared assets, sometimes the only reason you need to leave a relationship is that you want to. Again, when the gap between your expectation and experience of a relationship is too wide, you either have to lower your expectation or raise your experience. If changing the relationship isn’t possible, lowering your expectations may be your best and only option. You should expect to be treated with kindness, love, affection, and respect. You should not tolerate emotional or physical abuse. You should expect your partner to be loyal. If you’re ready to move on, “don’t think twice, it’s alright.” Bob Dylan coined the sentiment in 1963. In the context of the song, Dylan’s narrator is the one “a-thinkin’ and a-wond’rin’ all the way down the road” but he’s also soothing his former partner. He gave her his heart, but she wanted his soul. She just kinda wasted his precious time. But he doesn’t mind. He just wants both to move on to whatever’s next. Presumably whatever’s next will be better, healthier, and happier than what came before. And that’s okay. It’s actually really good. And you have agency in this endeavor. Presumably you’ve learned a little about what you want and what you don’t. Presumably you’re a little wiser about the boundaries you need and want. Presumably you’re smarter about the qualities you desire in your next partner. It’s okay to seek what you like about your former relationships and partners while seeking a more perfect match. The key is to keep your eyes forward. She’s tormented, for sure, but she’s learning to grieve the loss of what was as she becomes accustomed to what is. She offers, “I wish nothing but the best for you.” This step will, presumably, open her up for new opportunities. Every end is a beginning. If you’re ending your formal relationship, it’s alright, but remember it’s still a relationship. I had the opportunity to chat with Julie Gottman about breakups. She told me that it’s important to celebrate and recognize the good about the relationship, even at the end. This isn’t going to be realistic in all cases, but there are things you can do to preserve the dignity and integrity of the original bond. It’ll help to remember that you will always be connected to the person. You may not be directly connected to one another, but you will always be part of one another’s story. What will you remember about your relationship together? What were the highlights? How did you grow and change? As much as you can, be sure to handle the breakup directly. In 1966, Marvin Gaye foreshadowed a 21st century problem. In “I Heard It Through The Grapevine,” he speaks to the surprise of learning about his breakup secondhand. He even hints that he may “lose his mind” and that the breakup could be the “end of his life.” Though this may be hyperbolic, it does suggest that the breakup is delicate and should be handled with extreme care. At the risk of offering direct advice (which is off limits for therapists) you should at least handle the breakup in person. This means, face to face. Not through a friend. Not via email or text. And certainly not through the grapevine. Any meaningful relationship deserves a meaningful end. And to the best of your ability, you should concentrate on kindness. Perhaps the worst breakup song these days is Cee Lo Green’s “Forget You.” “Forget You” is actual the polite (and radio friendly) substitute title for the song which originally includes the “f” word. Green’s song expresses a great deal of contempt and anger towards the ex-girlfriend. This energy is simply wasted. Once you decide to part ways, you have a responsibility to move on. And there is no reason to be unkind. As Julie Gottman says, “the breakup experience doesn’t have to be negative.” Even if it is, it doesn’t need to be because of you. Sometimes the hardest part of breaking up is defining the terms and conditions of how you’ll exist in your world and community as two individuals who are no longer a couple. If you’ve been together for a substantial period of time, you’ve no doubt included your friends and family in the mix. The impact of your breakup will include and involve them and their feelings. It’ll be important for you to set clear boundaries and expectations about what people should expect moving forward. Superstar Taylor Swift connected to this idea when she penned, “We Are Never Ever Getting Back Together.” Her song’s narrator makes the boundaries explicitly clear. When I was in college, a girlfriend broke up with me. I had been sure I was going to marry this woman. But she knew it was time, knew it was okay, and knew our relationship still mattered. Still, I didn’t give up hope. I kind of thought we had a chance until I met my current wife. I actually drove six hours to let my ex know that we were never, ever getting back together. Her response was, “I know.” But I didn’t know until that moment. I’m fond of that story. But some stories are less pleasant. In Swift’s case, the narrator is empowered through setting boundaries. Sometimes boundaries are designed to protect us. Even if you’re losing your best friend, you need to set boundaries and expectations. It’s a gift to let your ex know that you’re never getting back together, like ever. And it’s a mercy to ask of them, “don’t speak.” When you’re clear about the end of a relationship and what you need, not what you don’t need, it brings things into sharp relief. It could be as simple as saying, “I need to block you (and your mom) from social media” or “I need to know if you’re going to be at that party.” A post-breakup relationship is still subject to the experience and expectation gap. In this case, however, you get to set your own boundaries without agreement or input from someone else. At minimum, strive for mutual regard and respect. A final step in breaking up—and I said “a” instead of “the” on purpose—is to move on. This does not mean move on to the next partner. You may need to take a break, get to know yourself again, or take an inventory of what you really want out of a relationship. You might even find a way to formally mark the end. Plant a tree. Buy a new painting for over the couch. Call your parents. Throw a party. Michael Buble captures the spirit of the post-breakup celebration in his 2013 song, “It’s a Beautiful Day.” It includes more than a little snark, but at least reflects his commitment to clearly and cleanly moving on from this relationship. “It’s a Beautiful Day” is a breakup song wrapped in pop vocals, blaring trumpets, and a sunny disposition. Obviously breakups can be painful and often require more than a declaration of finality. That said, the sun will come up again and you have a responsibility to yourself and future partners to take care of yourself. A universal self-care practice is gratitude. There is a ton of research about how gratitude changes your brain, aids sleep, creates positive hormones, and leads to hope. Spend a few minutes or weeks reflecting on what you did gain from the relationship. Next doesn’t need to be another partner. You might consider individual therapy to help you process the loss of relationship, routines, and rhythms. Maybe take up a new hobby or plan a trip. Turn your attention to a latent dream or a sense of purpose. John Gottman’s research suggests that the healthiest relationships have a sense of shared meaning where partners help one another’s dreams come true. You might as well get a head start in establishing a vision for yourself and your life. 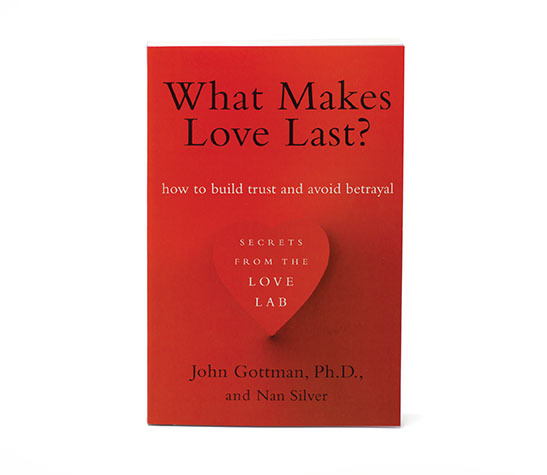 It may surprise you that The Gottman Institute, a relationship company, is helping couples break up. But here’s the thing. Our goal is not to “save” relationships or keep couples together. 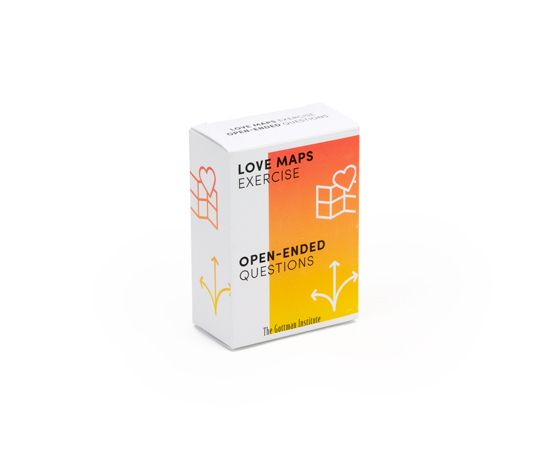 Our goal is to help people reach better understanding about what it means to be in a healthy relationship. And sometimes that means breaking up, even when it’s hard to do.